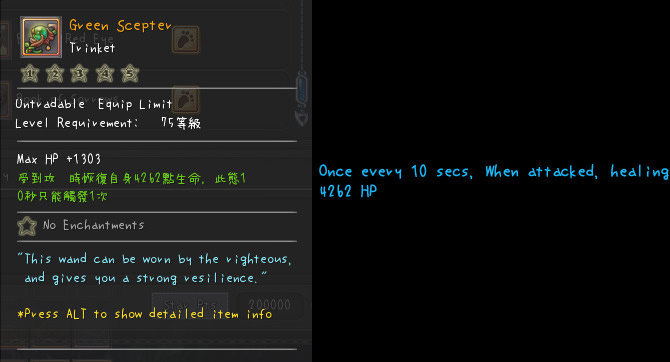 I would like to help Twinsaga with translation, since there are too much stuffs have wrong translation/missing translation and not translated yet. 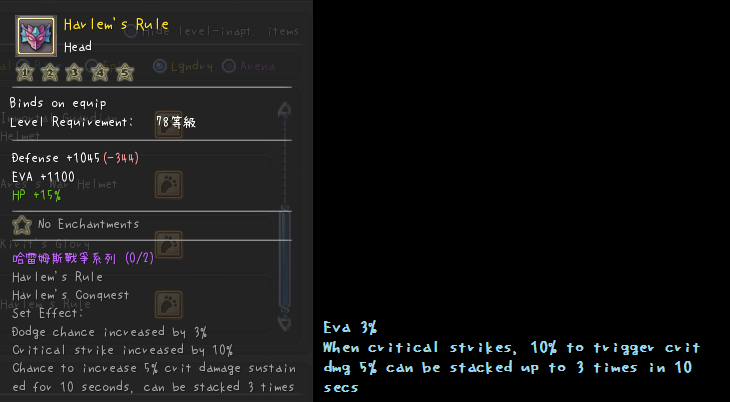 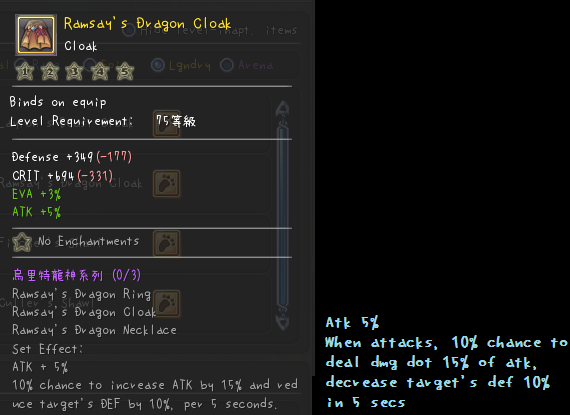 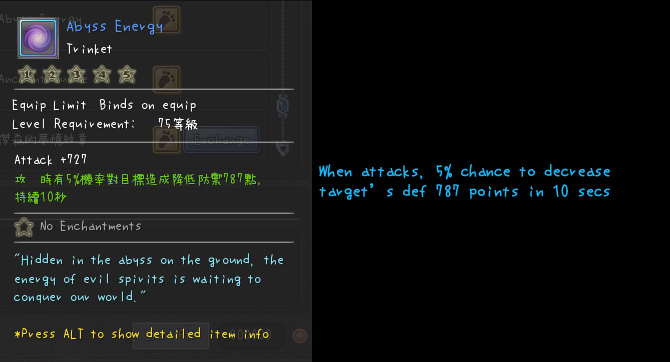 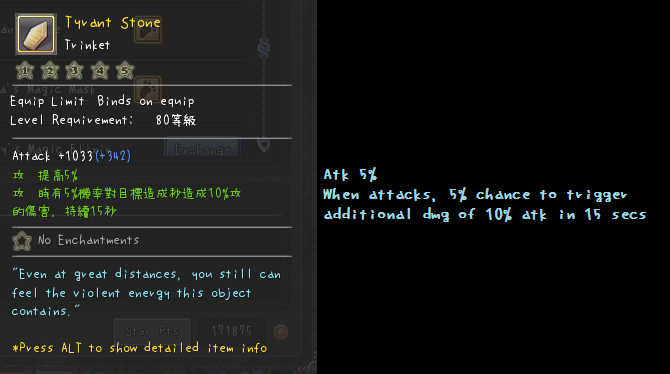 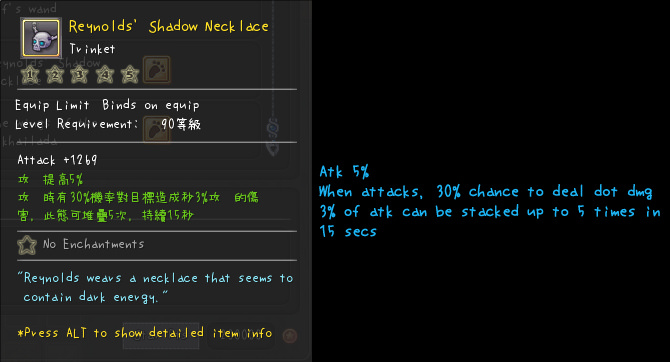 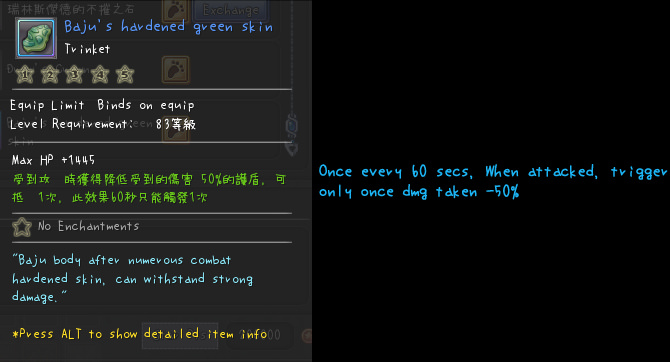 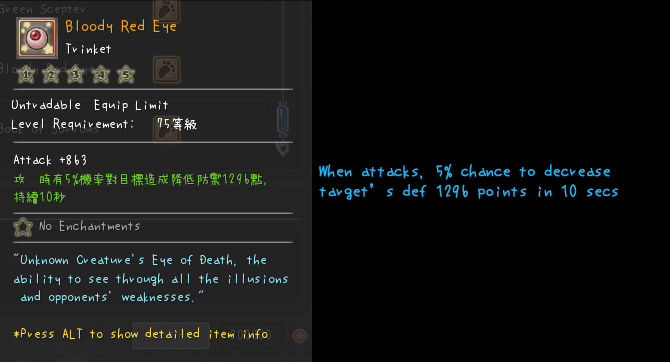 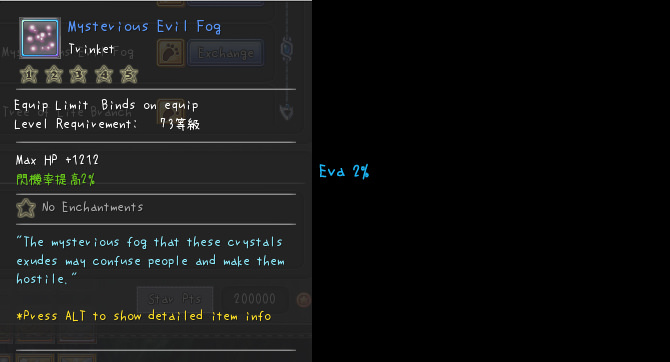 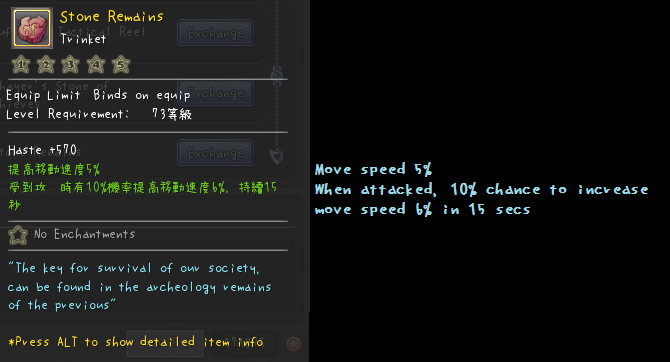 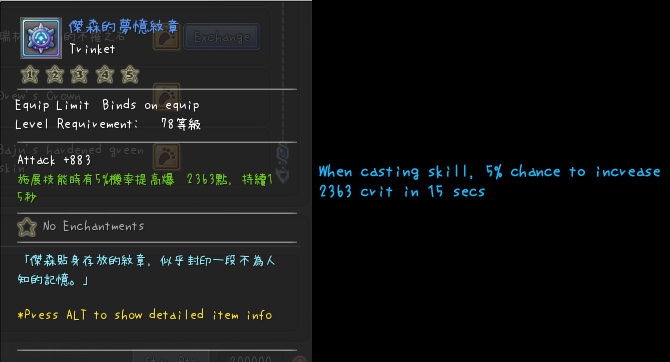 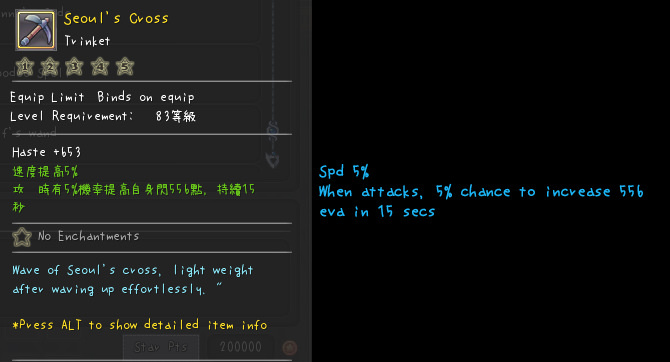 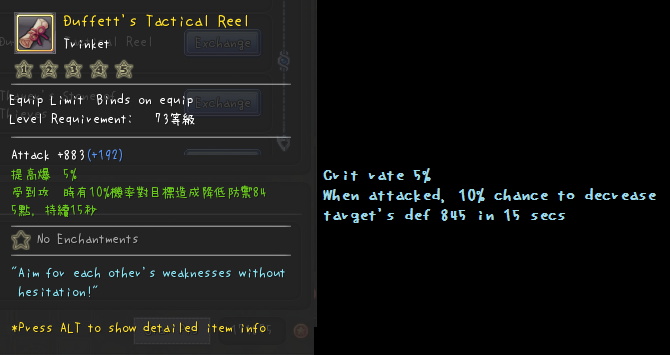 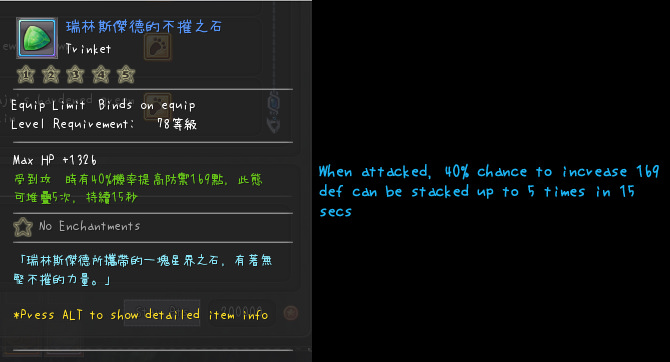 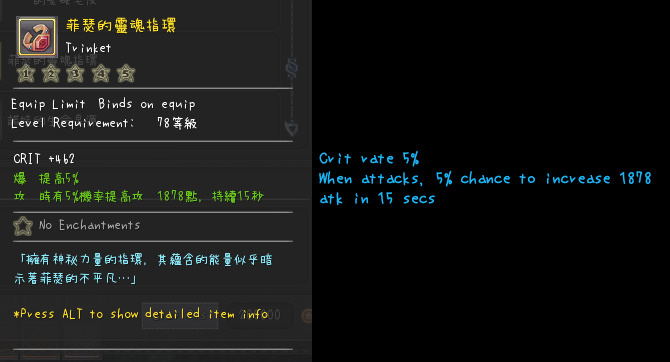 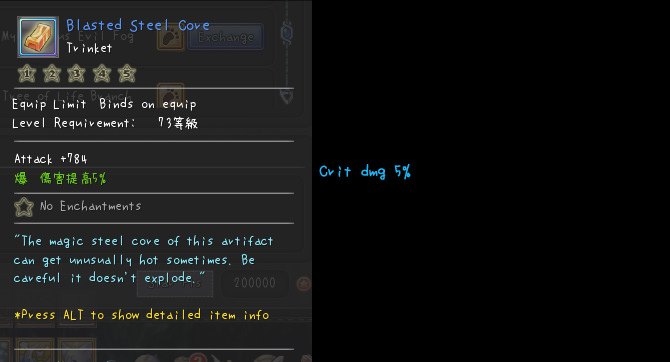 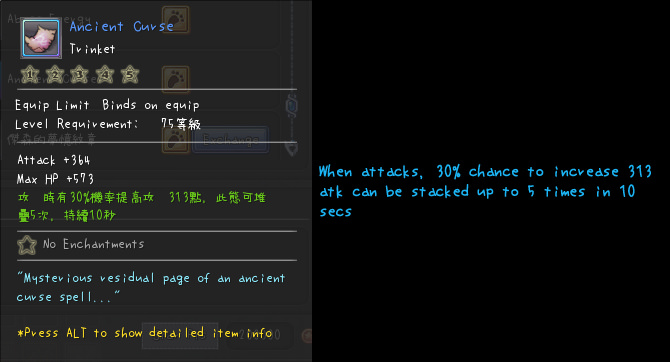 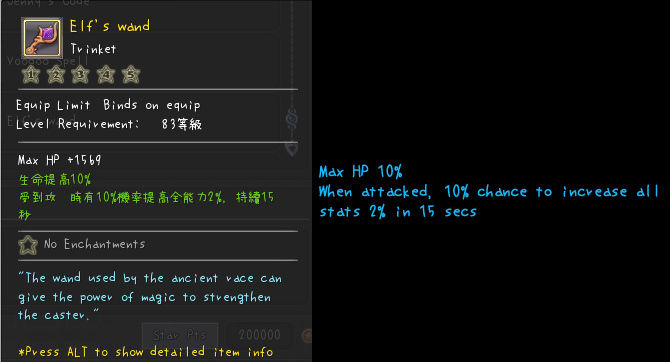 I wont translate items name because it might go back Aura's translation, almost stuffs i translated from japanese. 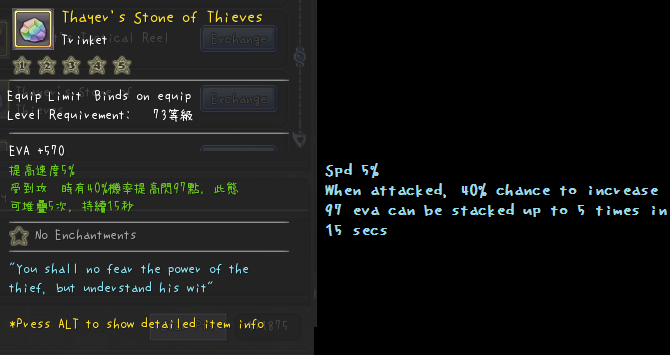 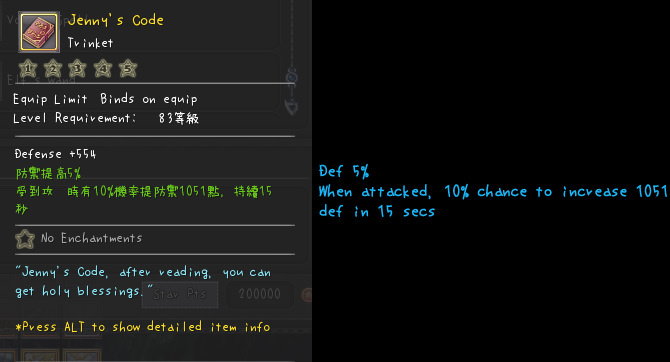 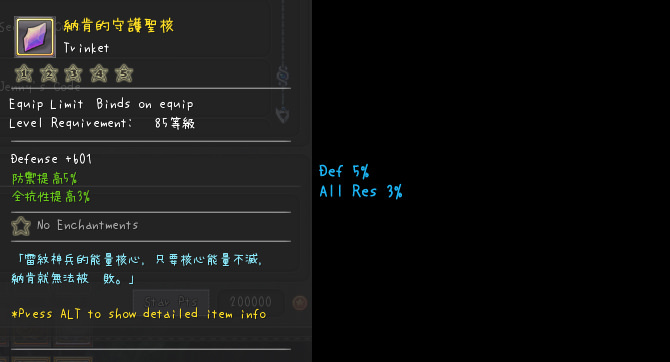 If Aura doesnt mind about it, i will translate items name. 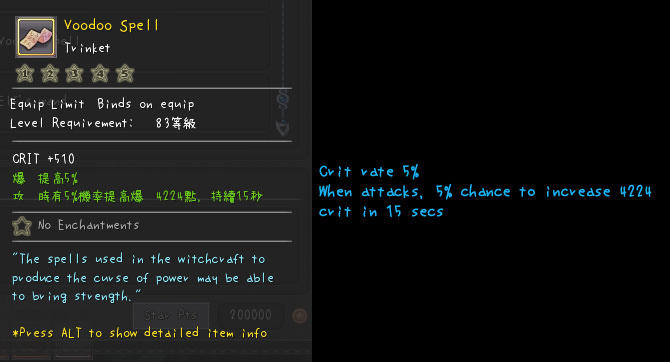 Last edited by 46猫; 11-10-2017 at 02:10 PM. 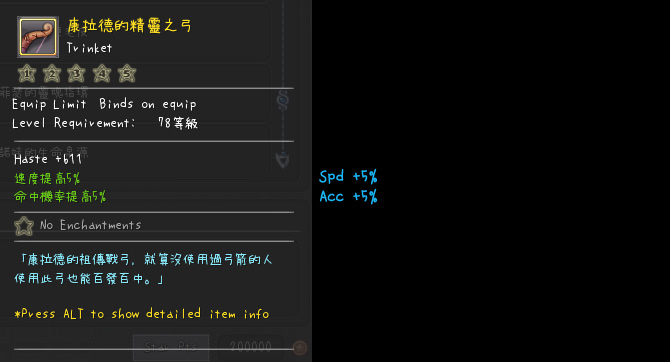 Last edited by 46猫; 11-10-2017 at 07:39 AM. 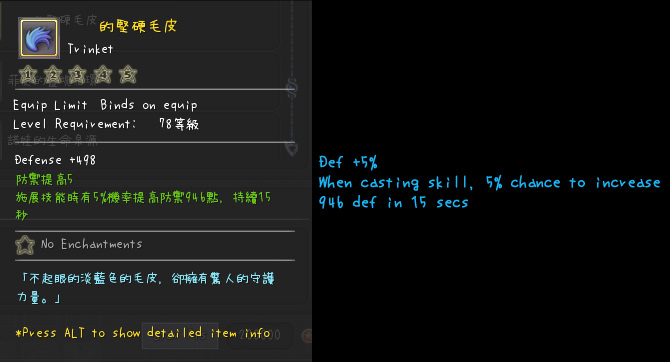 Last edited by 46猫; 11-10-2017 at 09:45 AM. 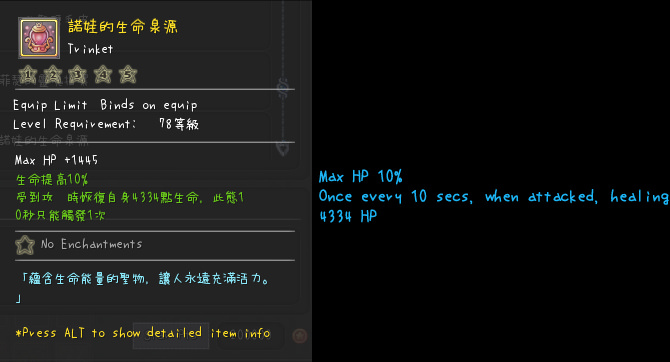 Last edited by 46猫; 11-10-2017 at 02:01 PM. 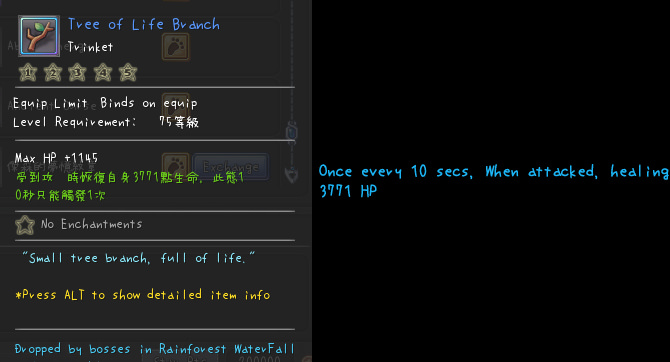 I was gonna translate and fix some more stuffs but ill just leave the translation end here. 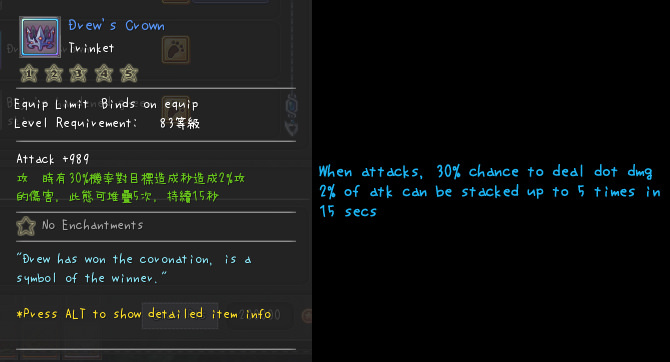 My translation was from TW and JP official server, so im sure that nothing wrong anymore. 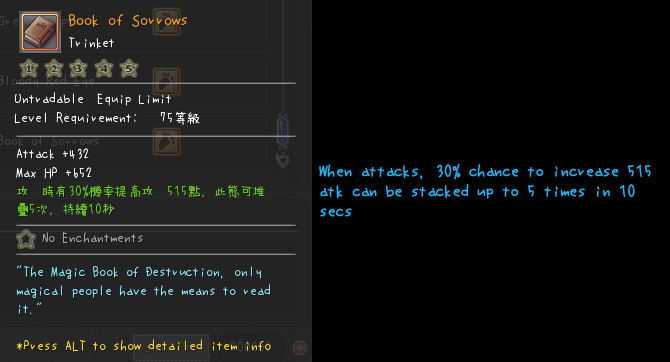 There are probably still much stuffs which have wrong translated, and its better to ask on discord if you dont see any different after using.